Australian Off Road has been building strong, reliable camper trailers and caravans since 2000. And with every concept designed, we have pushed the boundaries of innovation to provide our customers with the best Off Road camping experience. 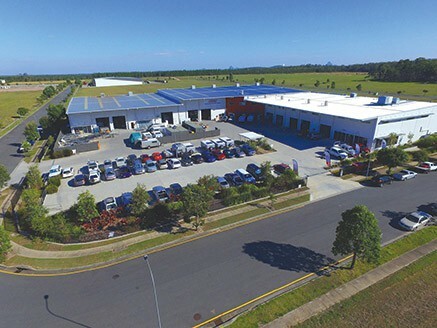 AOR is 100% locally owned and operated on the Sunshine Coast, Queensland. 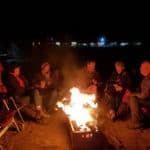 AOR began when owner Steve Budden was struggling to find a good quality off road camper trailer. He saw it as an exciting challenge to produce a camper that was better than what was available to consumers at the time. Steve set about engineering and designing a true off road camper trailer that was capable of handling all the 4×4 rigors from Cape to Cape and the toughest terrain in-between without breaking. From his garage, Steve commenced building his first off road camper trailer, and how far things have come. From a one-man operation in his garage to an 80 strong workforce in a purpose-built, 5,500m2 factory and showroom on the Sunshine Coast. Central to Australian Off Road’s reputation for quality is Steve’s commitment to employing only trained tradesmen and women to construct, fit and finish each camper trailer to a quality and standard that is second to none. Owners Steve and Rhonda Budden are still very much involved in the design process and management of the organisation. AOR’s success has been attributed to their vision for a premium off road brand and a strong local workforce committed to taking AOR into the future. But don’t just take our word for it. If you are in the Sunshine Coast area, call into our showroom and see our models for sale on display. We’ll also give you a guided tour of our factory, so you can witness the construction process used to build the off road super campers and caravans we are so proud of!